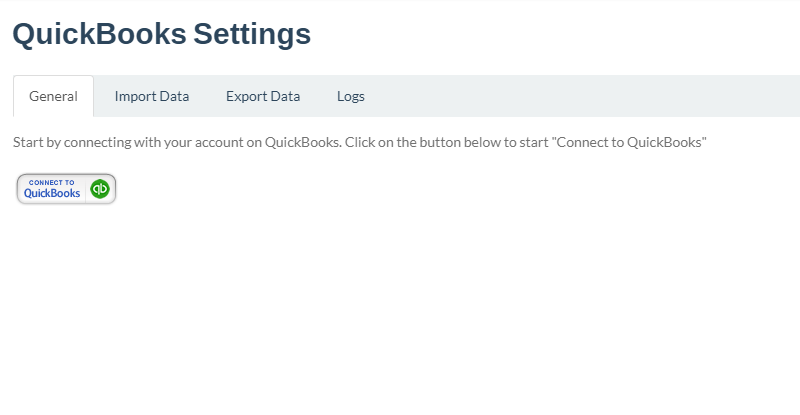 From the settings menu, select QuickBooks to load the QuickBooks Settings page. Then simply select the “Connect To QuickBooks to connect your QuickBooks account to InfoFlo Pay. 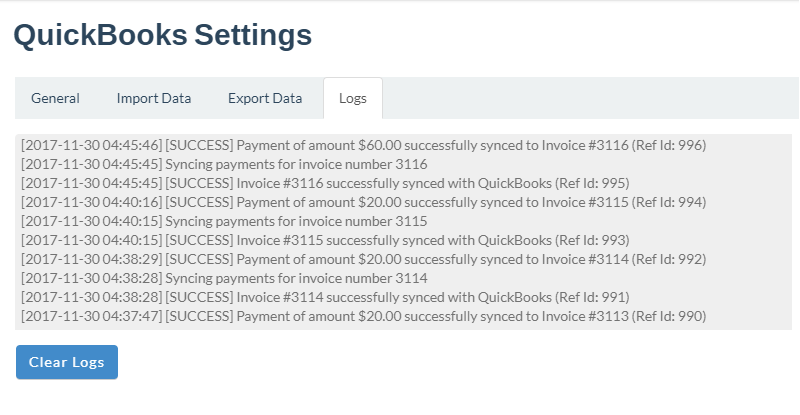 Select the Import Data tab to do the first time import from QuickBooks online to InfoFlo Pay. All information includes Taxes, Products, Contacts, Estimates, Invoices, Payments Expenses will be synced from QuickBooks online to InfoFlo Pay. Once completed, new data will be automatically synced from QuickBooks online to InfoFlo Pay. 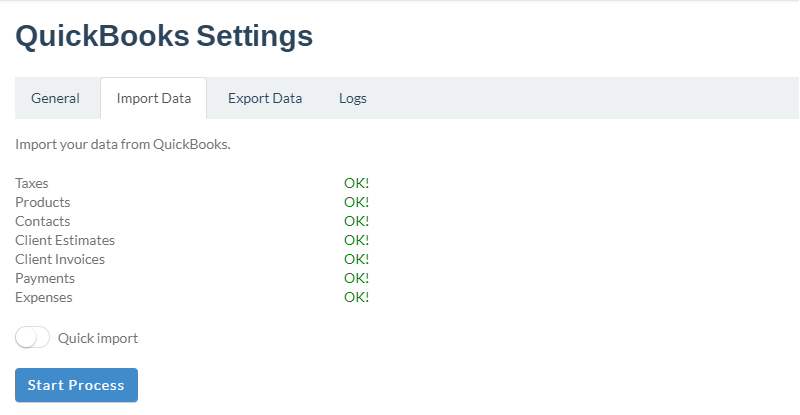 Select the Export Data tab to do the first time export from InfoFlo Pay to QuickBooks online. All information includes Taxes, Products, Contacts, Estimates, Invoices, Payments Expenses will be synced from InfoFlo Pay to QuickBooks online. Once completed, new data will be automatically synced from InfoFlo Pay to your QuickBooks online account. 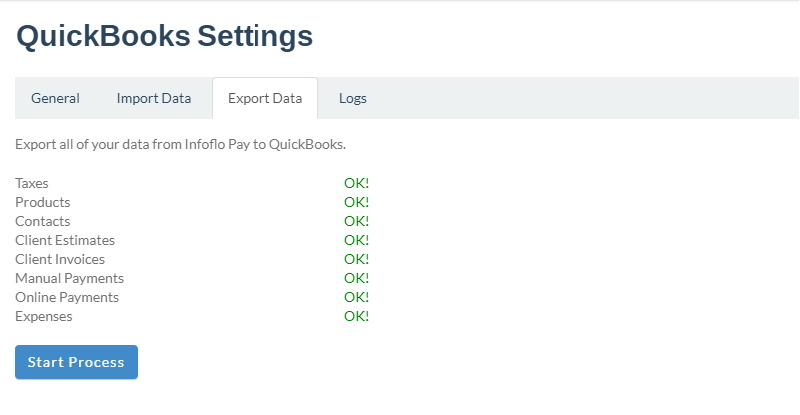 At any time you can click on the logs tab to get a live status of the sync between InfoFlo Pay and QuickBooks online.